As time crawls on by, old solutions and technologies can become out of date and obsolete. Sometimes a company’s business practices have evolved leaving their current internal systems behind. Other times the technology has just become outdated, slow and immutable to today’s newest standards. This can be all too true for databases, where current structures no longer meet business needs or are using programs that are too slow. Sometimes a database upgrade is exactly what the doctor ordered. There are a variety of ways to go about a database upgrade. It might just be changing to the newest software. 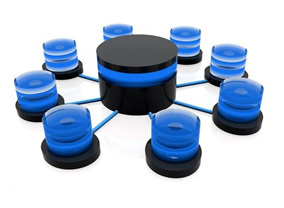 Many major database companies often increase the load and speed that database systems can handle. Microsoft SQL Server 2008 is fantastic for its speed and ability to serve up data on the fly. MySQL is a great open source database program that can get you the info you need without having to pay an expensive license to Microsoft. And Oracle is a great middle ground, supported by a company with superior customer service. But sometimes it is how the information stored inside that needs the database upgrade. Business models change, but sometimes the databases supporting them do not. Information may need to be reorganized, data uploading processes may need to be tweaked to load information faster, or special indexes need to be created to sift through gigabytes of data. Doing a database upgrade could be much more than just migrating your databases to new software. That’s where Ayoka’s team of talented professionals come in. Ayoka can come in, analyze existing systems and databases, and provide you with the right solutions that you need to enter the new 2010 decade of software. Soon after, your databases will be lively, faster, and can handle anything your company may need.